English alt rock band Coldplay is BACK with their first new music in nearly 2 years (not counting their 2010 Christmas single, "Christmas Lights,")! How exciting is this?! 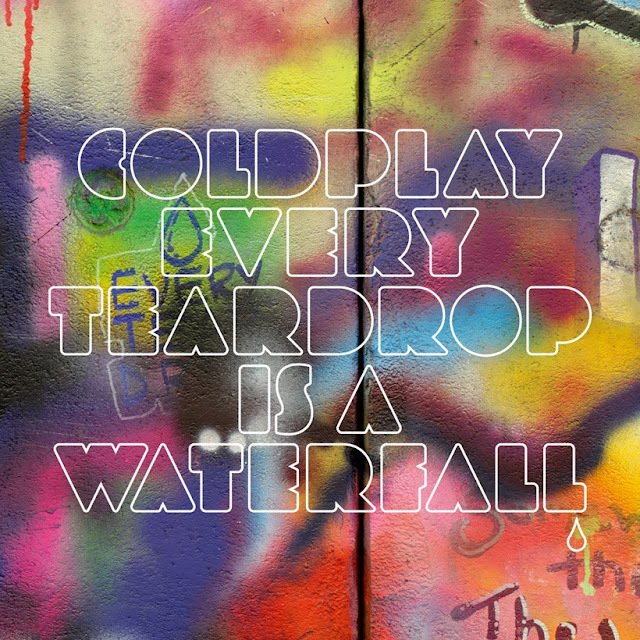 "Every Tear Drop Is A Waterfall" is the band's first single off their forthcoming fifth studio album. The song was produced by Markus Dravs, Dan Green and Rik Simpson and written by the boys of Coldplay (Guy Berryman, Jonny Buckland, Will Champion and Chris Martin) and features chords from the 1976 song "I Go To Rio," written by Peter Allen and Adrienne Anderson. Released on June 3rd, "Every Teardrop Is a Waterfall" peaked at #6 on the UK Singles chart and at #14 on the Billboard Hot 100, becoming the band's third biggest single here in America, behind 2005's "Speed of Sound" (#8) and 2008's "Viva La Vida" (#1). While I'm hardly complaining that Coldplay is back, the song is...dare I say it...a little expected. Now, I don't expect every artist to completely reinvent his or herself with every album, but I was hoping for a little bit more freshness in their sound. Oh well. I guess I'll take what I can get of Mr. Gwyneth Paltrow and the boys until their new album comes out. The colorful video premiered on VEVO June 28th, which you can watch below. Shot in East London, the Mat Whitecross-directed video features the band playing behind a lovely graffiti backdrop, painted by the band's artist "Paris," utilizing the stop-motion technique, a film making style seen fairly frequently in music videos these days. Download "Every Teardrop Is a Waterfall" (+ 2 additional tracks) on U.S. iTunes HERE and check out the video below. Guys! If you have yet to be smitten by Portland-based electropop duo Van Go Lion (AKA Amy Paige & Josh Loerzel)...go kick yourself in the head and THEN go check out my previous posts (#1, #2, #3). Once you've recovered from that swift kick in the head, the next thing on your agenda should be to listen to the duo's first ever cover song! I almost hate to say that I love when an artist does a cover song, but oftentimes it's that rendition of an old favorite that wins over so many new fans. Case in point...Ellie Goulding's cover of Elton John's "Your Song," which went on to become Goulding's highest charting single in her native UK. "25 years since 'Shattered Dreams' was originally a worldwide hit, and after nearly three and a half million airplays in the US alone, its great that the song is reaching a new generation of music fans. We celebrate Van Go Lion's innovative new recording, and have no doubt that it will add to this continuing success." Um...that's pretty EPIC! 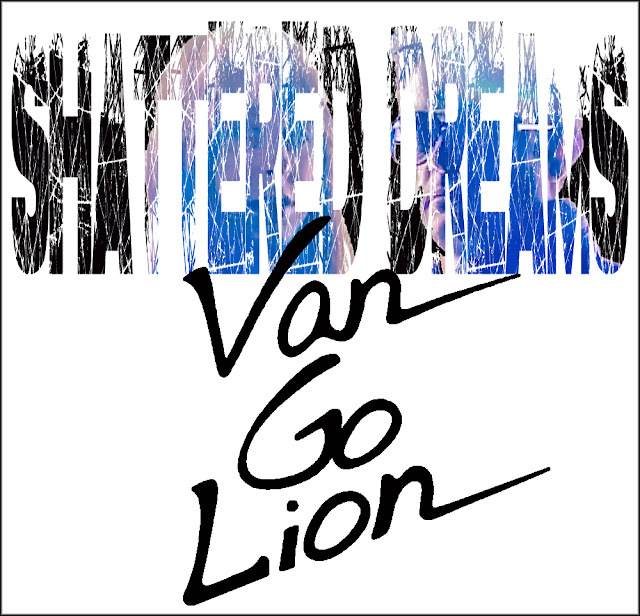 Listen to Van Go Lion covering "Shattered Dreams" below and prepare to fall in love all over again (or for the first time) with this incredibly talented pair of artists. Download the duo's last single, "We Don't Miss A Beat" on U.S. iTunes HERE and on U.K. iTunes HERE.